I for one have experienced connectivity problems with my iPhone 3G over WiFi. My signal is never as strong as it used to be and even in the house I get no connection where I used to get a connection, all this after the 3.0 update. Hundreds of people have been complaining of these issues of the iDevice not connecting to WiFi, less signal strength or saying you have a WiFi connection when you don’t. Apple if fully aware of the problem and will be working to fix it. Some people think that the 3.1 update will fix these issues but some people don’t agree with this so we will have to see. If anyone is using 3.1 Beta do you experience any of the WiFi problems? Some people have came up with many solutions to try and fix this problem, but they don’t work, some people even tried putting there iDevice in the freezer. For all you out there who think it’s unfair that iPod Touch users have to pay $10/£5.99 for an upgrade which iPhone users get for free and the only reason Apple charge is to do with accounting, I’m offering you a free upgrade to 3.0. Just download the restore file from the link below and press Ctrl and Restore and choose the downloaded file. I hold no responsibility for the file and you use it at your own risk, enjoy 3.0! Multiple cases of iPhone’s overheating and the battery of the phone quickly depleting have been causing iPhone users problems recently. Most believe it’s down to the software, the 3.0 firmware that Apple released a few weeks ago as it only seems now that users are having these problems. Apple blame the overheating on the hot weather and are blaming people for leaving there iPhone’s in hot places but the battery issues must be in some way connected to the new firmware as I experienced today. My iPhone 3G which used to run 2.2.1 would run under moderate use each day without getting into the 20% battery area, with heavy usage it would get down quicker and I would have to charge. But today whilst at a friends house I decided to do some live streaming using Qik, however after about 10 minutes I noticed that my iPhone had heated up considerably and the battery had lost maybe 30/40% of it’s charge. Now I know for a fact this isn’t usual as I’ve used Qik before and the phone didn’t have the same problems using 2.2.1. It seems that there must be something not quite right with the 3.0 firmware which is causing maybe the CPU to be overused, causing the phone to heat up or something in some setting which isn’t coded properly and causing these problems. I’d be interested to try out the 3.1 Beta to see if it had the same issues, however I’m not currently a developer so can’t try it but if anyone has tried it leave a comment about if you experience the same issues. 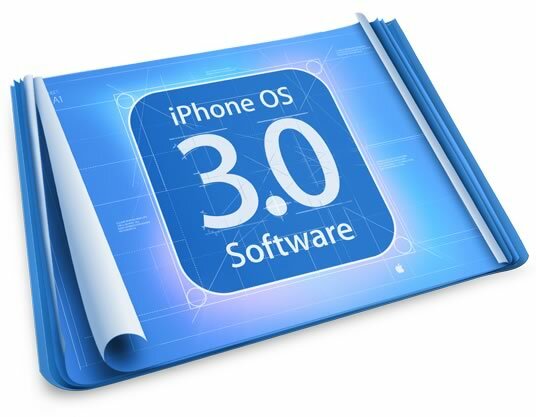 The Dev-Team have released there official jailbreak tool for all 3.0+ iDevices today and it’s compatible with the iPhone 3GS. It’s available for Windows, Mac OS X and Linux.